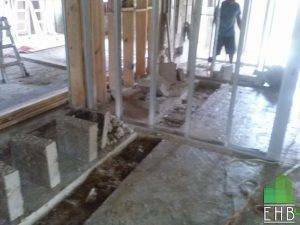 Are you looking for house foundation repair company? If you think your foundation has problems due to visible cracks in the walls, you need to repair it quickly. The damage can get worst and more costly to repair. If you have a structural damage that has to be addressed, ECO Home Builders has the knowledge and years of expertise to help you recover the value of your home. 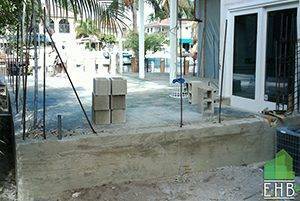 The two standard methods for lifting a sinking concrete foundations are Piering and Slabjacking. To use the piering method, our foundation repair specialist will need to dig into the ground to place the pier under the existing foundation, and raised it with hydraulics to place it back into place. This method requires multiple piers placed in different areas under the foundation. The slab jacking process uses a grout mixture pumped under the concrete foundation to float it back to normal position. Our professionals will be able to assess the repair method is best suited for your foundation issues. Piering is a more expensive method for rebuilding a foundation as it requires excavation and hydraulic piers. However, piering has always been considered to be a more permanent solution that won't compromise the house or shifting of the earth. 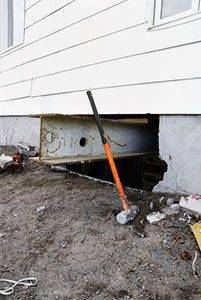 Slabjacking, although is an effective solution but could be rendered ineffective if there were any structural alterations to your house or the soil surrounding it. As you can see a professional advice is always need it when it comes to house foundations. If you need a reliable company to take care of you home and add more value to it, give us a call to book a free estimate at 954-665-0852 or visit our click HERE and fill out a quick Form! House Foundation Repair	Overall rating:	5	out of 5 based on 8	reviews.